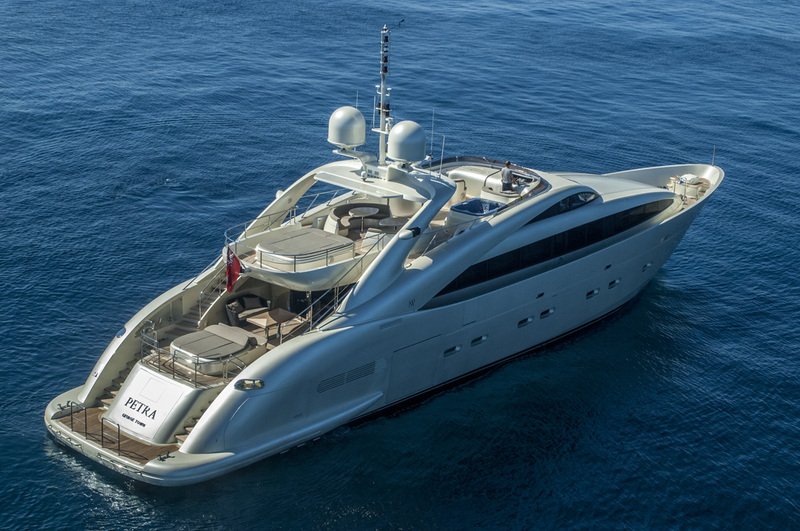 Luxury motor yacht PETRA was built by International Shipyard Ancona in 2009 and measures 37m (121.5ft). 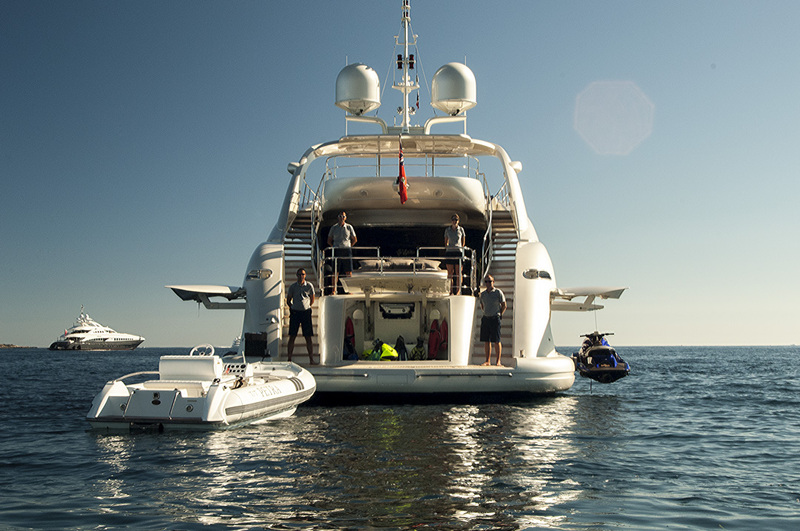 Offering accommodation for up to 10/12 charter guests, in 5 en-suite cabins, M/Y PETRA is perfect for large groups and families. 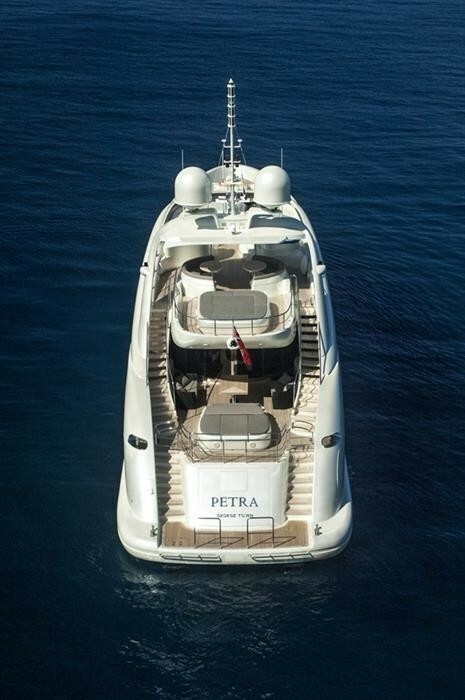 Crewed charter yacht PETRA is available in Croatia and the West Mediterranean. 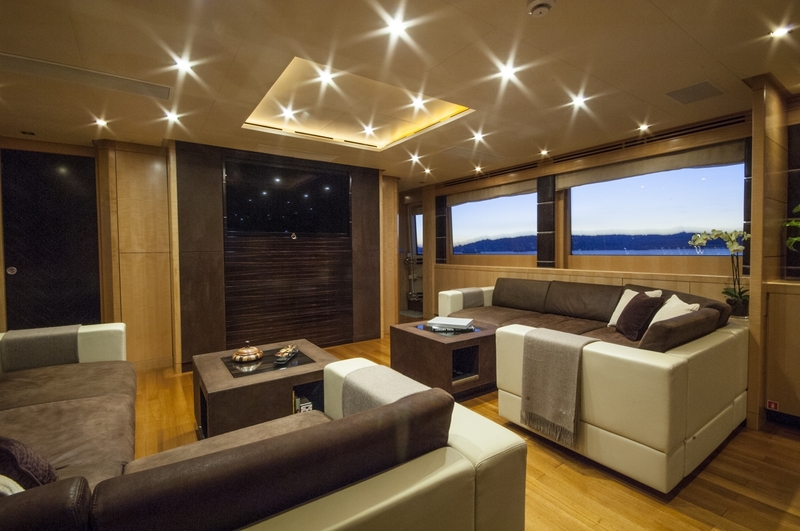 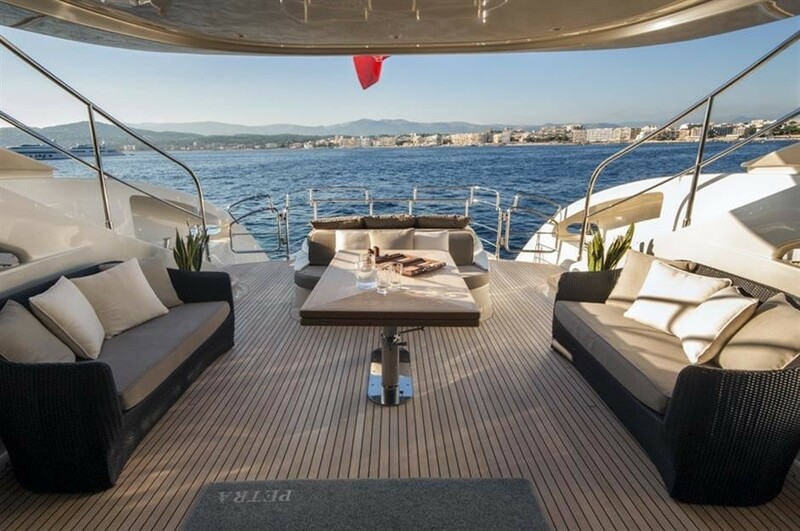 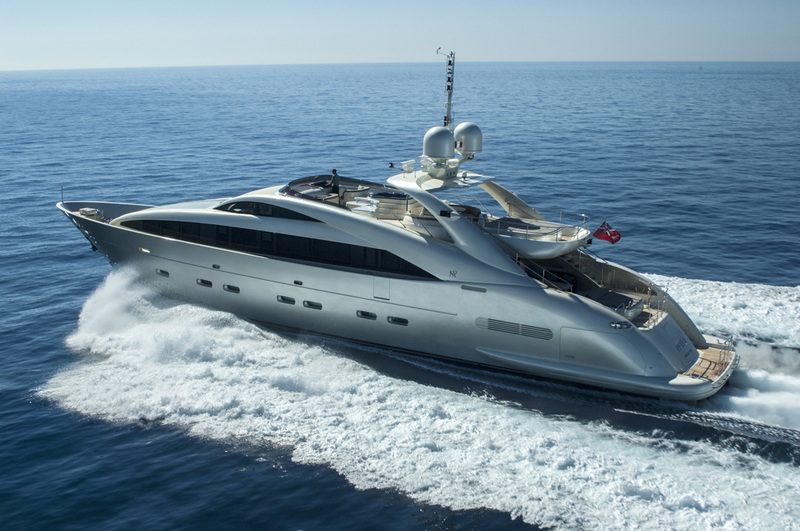 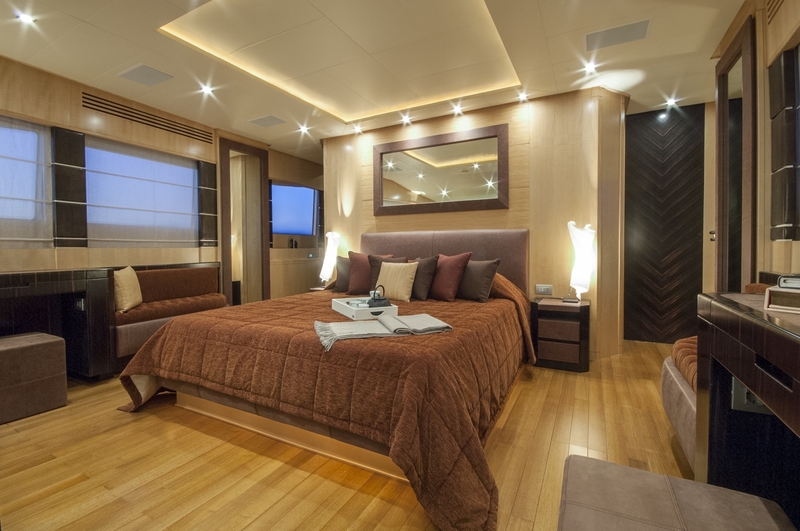 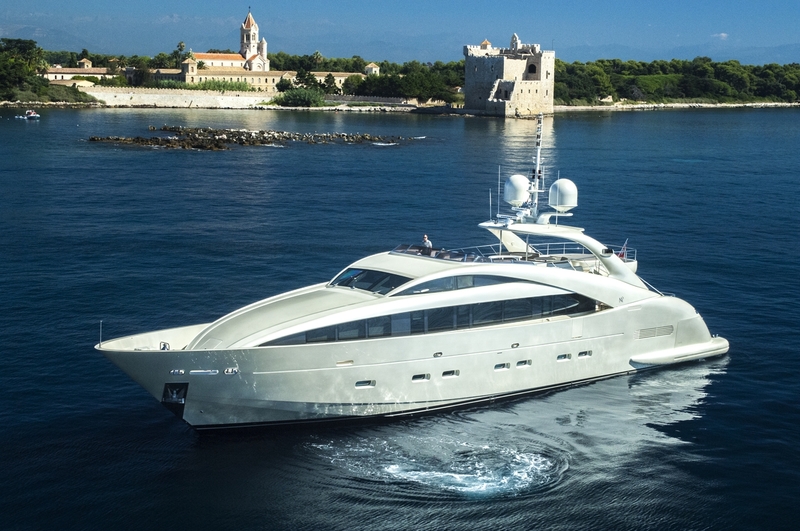 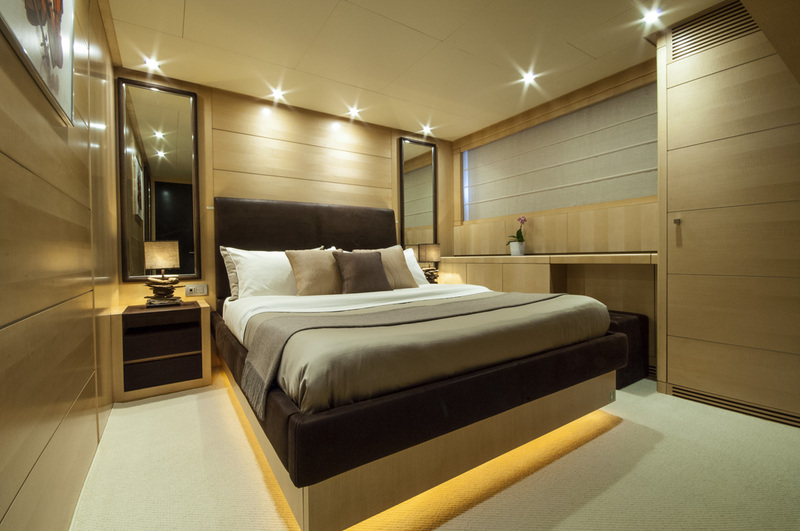 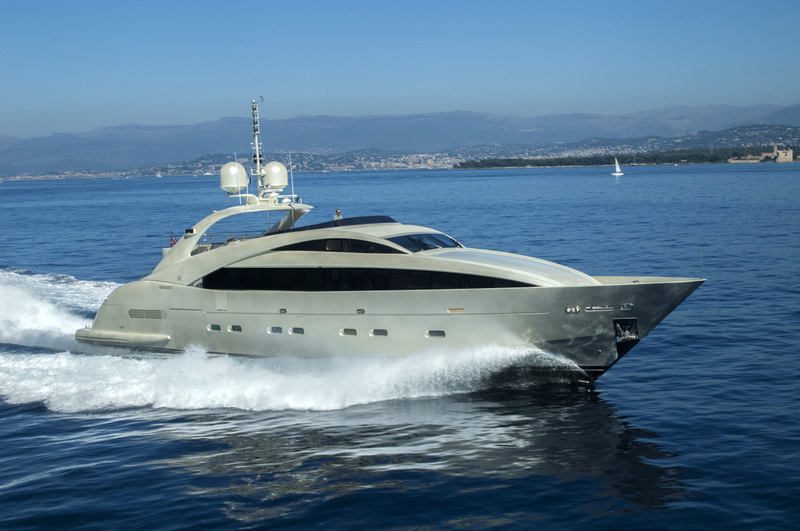 The stylish motor yacht PETRA features a contemporary interior of earth toned leather soft furnishings, beach and honey woods and plenty of natural light. 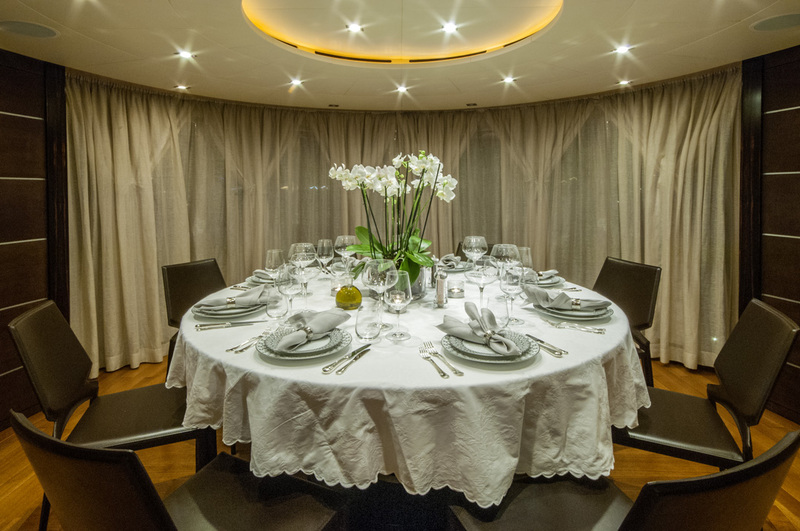 The salon and dining is an open plan, with the spacious lounge forward and formal dining aft, creating a fabulous social ambiance. 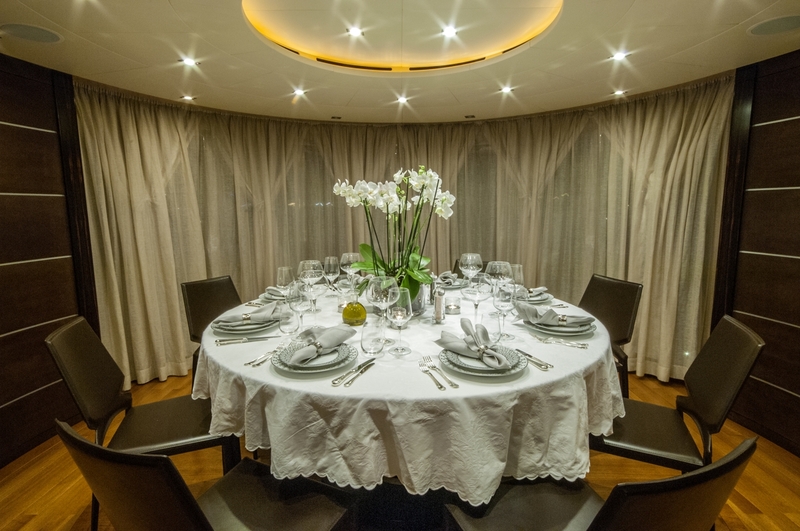 Attention to detail from the lighting to the elegant, yet stately décor, is evident and tastefully appointed throughout. 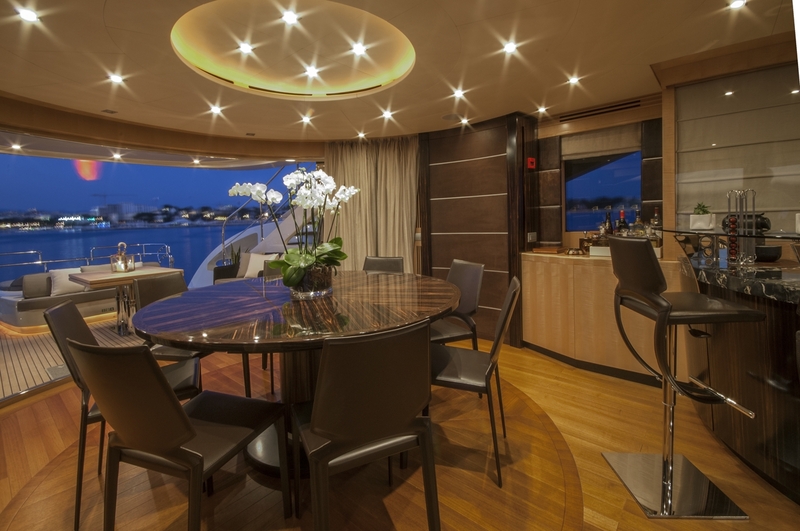 M/Y PETRA’S sleek hull boasts 2 decks and ample exterior living. 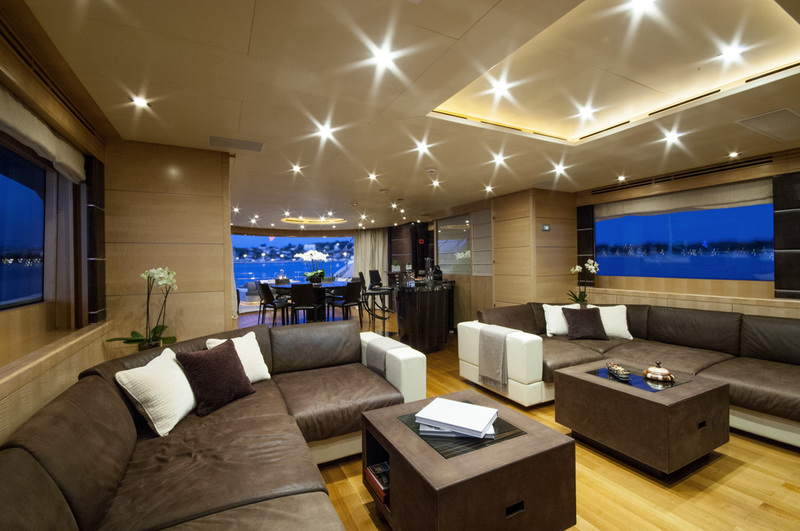 The aft deck is adjacent to the salon through wide sliding glass doors, fabulous for interior to exterior entertaining. 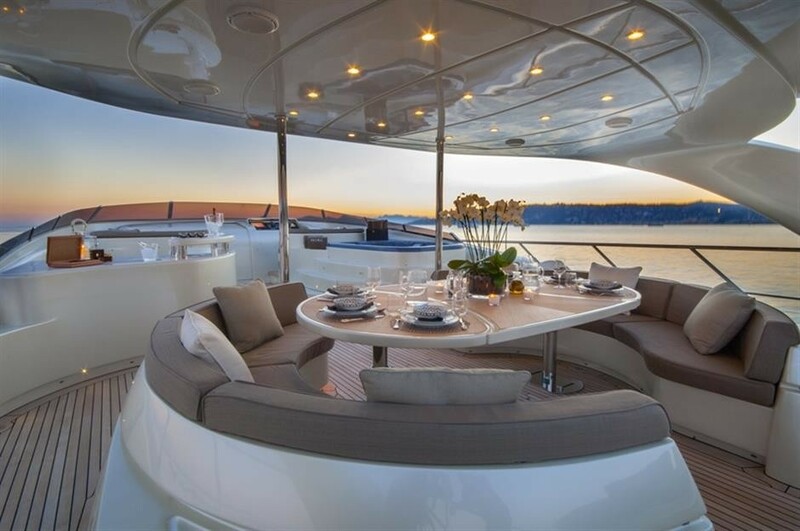 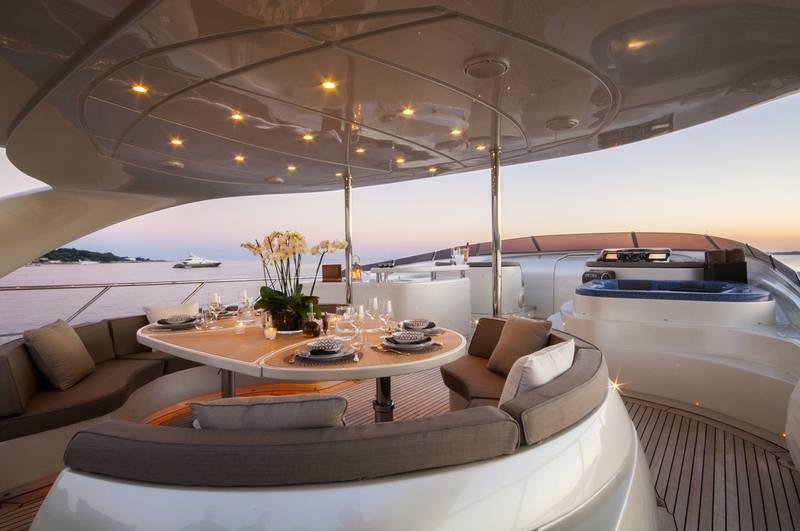 The aft deck features an alfresco dining area, seating and large double sunpad. 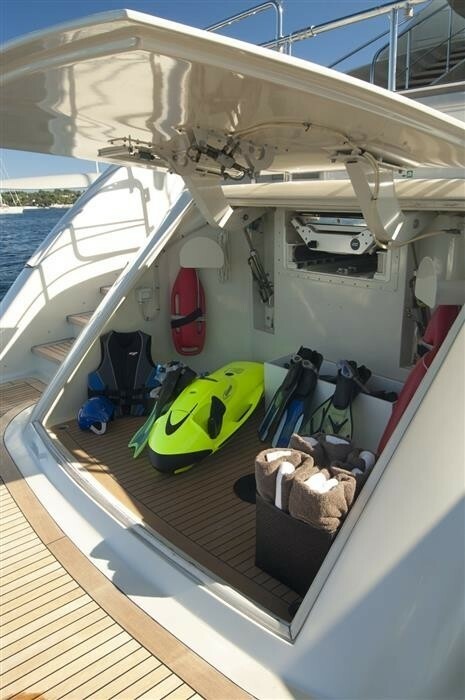 PETRA has a great choice of water toys on offer, all easily accessible from the extended swim platform. 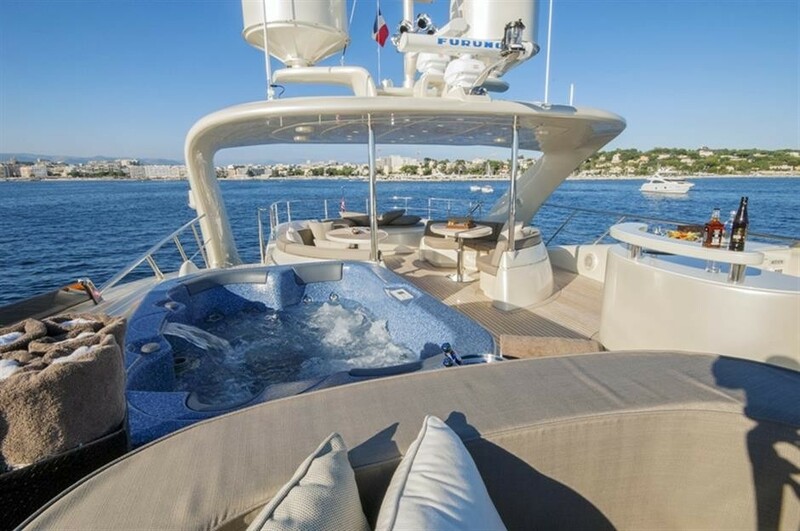 Above the main deck, a generous flybridge is complete with a massive sunpad, deluxe Spa Pool tub, alfresco dining option and full service wet bar. 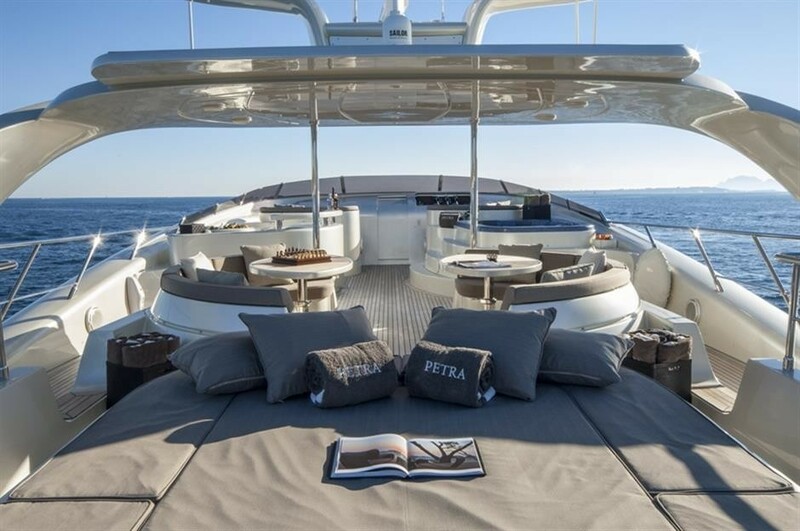 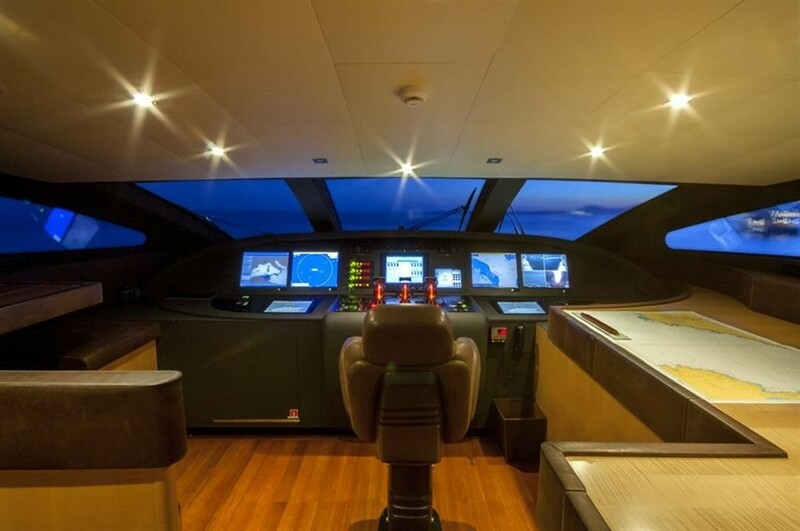 The PETRA motor yacht can reach impressive speeds of 24 – 32 knots, she has a beam of 7.4m (24.3ft) and a shallow draft of 1.5m (4.11ft). 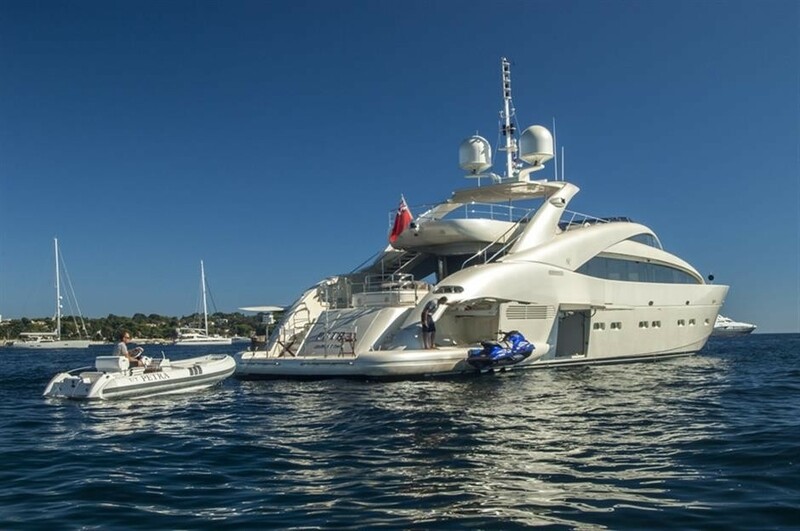 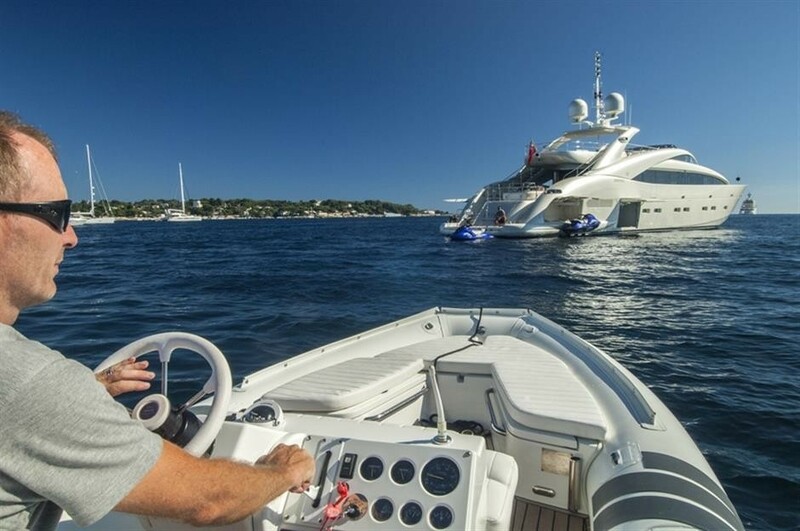 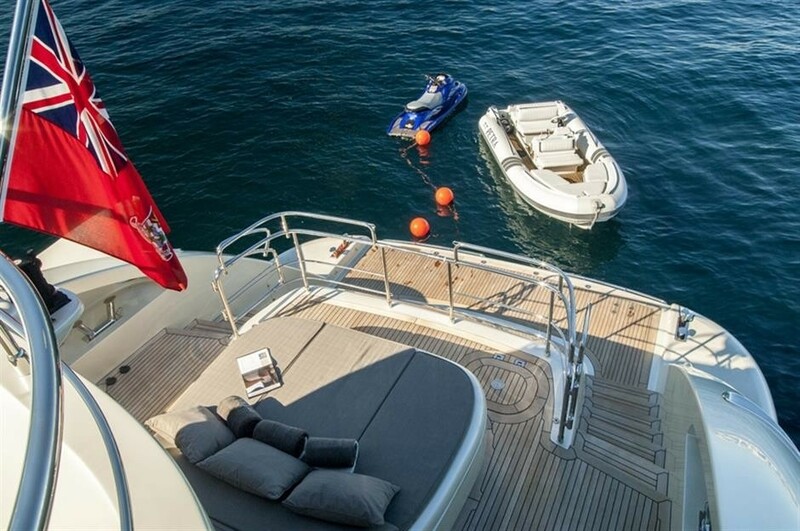 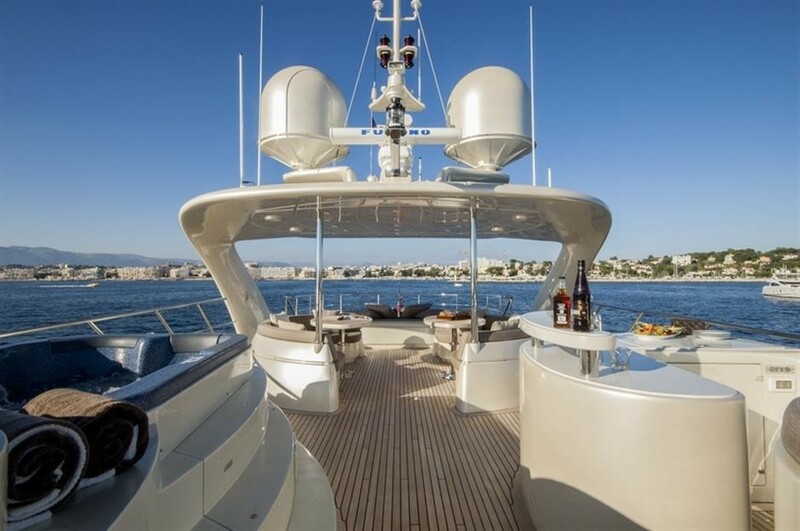 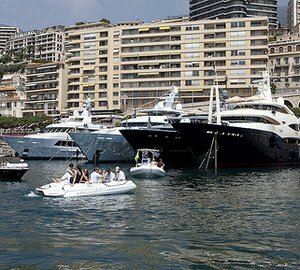 Boasting at anchor stabilizers, guests are ensured a comfortable luxury charter yacht experience. 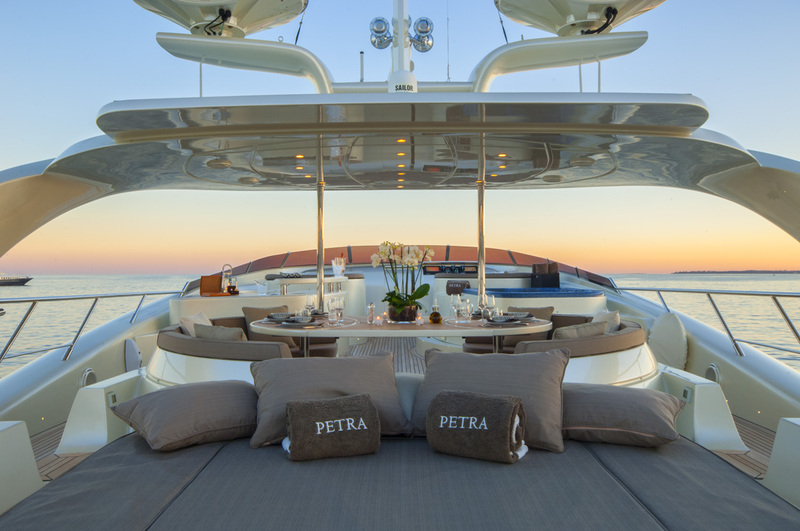 Yacht PETRA has accommodation for up to 10/12 guests, in 5 en-suite cabins and a Pullman berth. 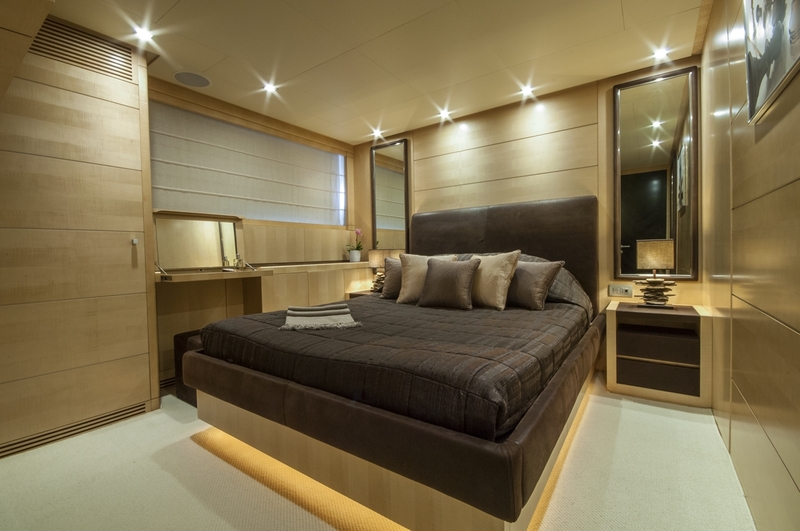 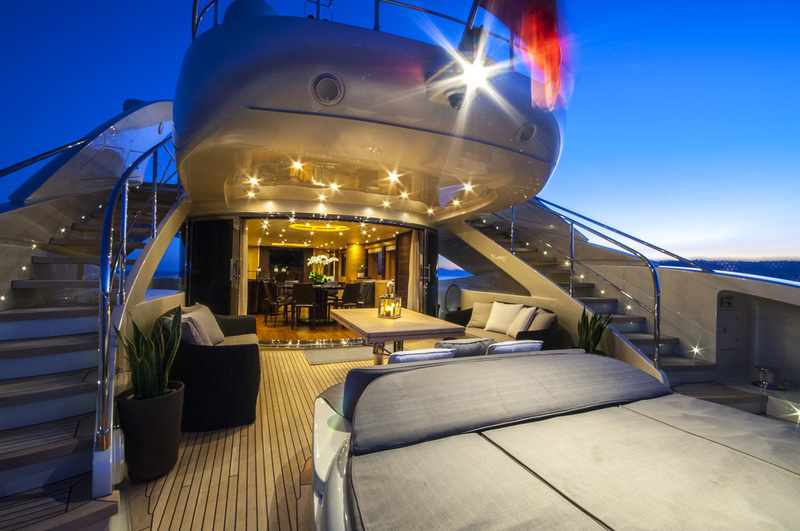 The master suite is on the main deck forward of the salon, on a split level, featuring a king size bed, sofa, vanity and large en-suite facilities. 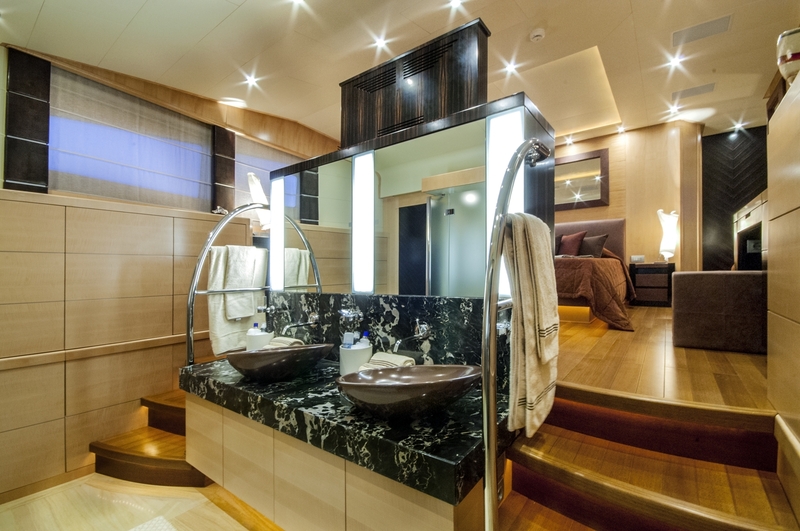 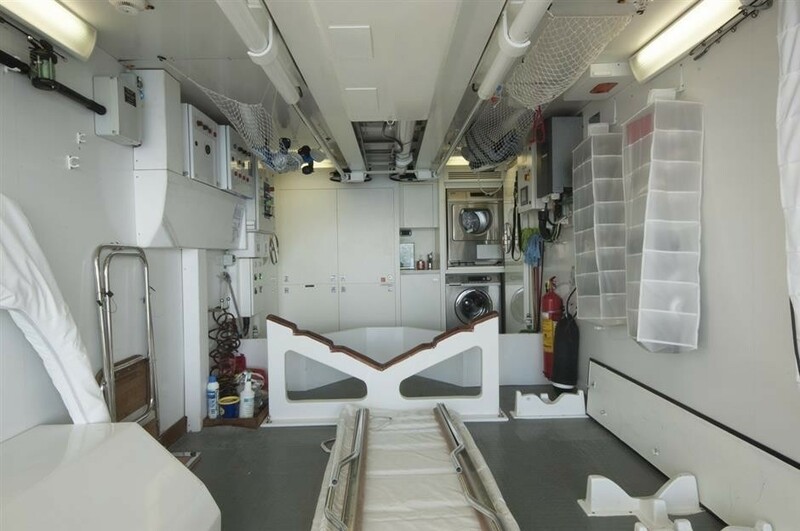 Below decks, 2 guest cabins offer double beds each and a vanity. 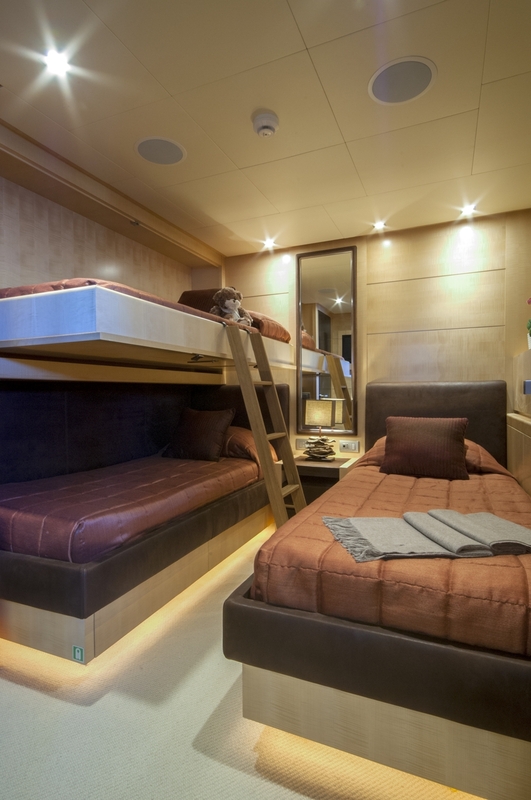 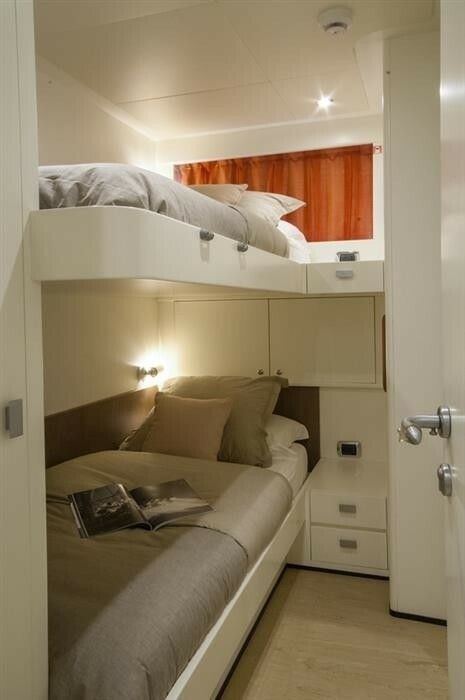 A further 2 cabins have side by side twin beds. 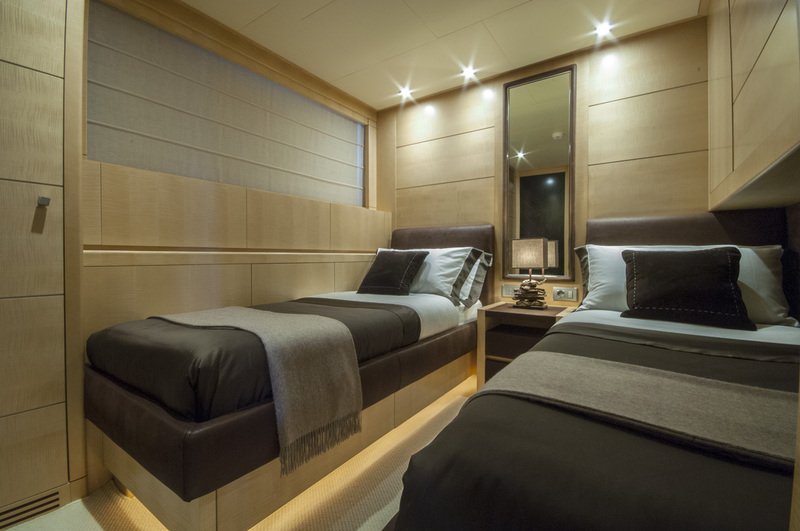 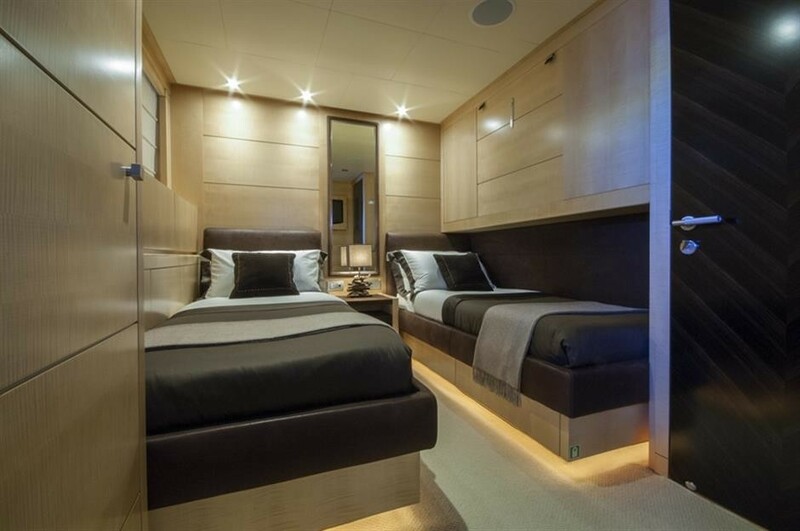 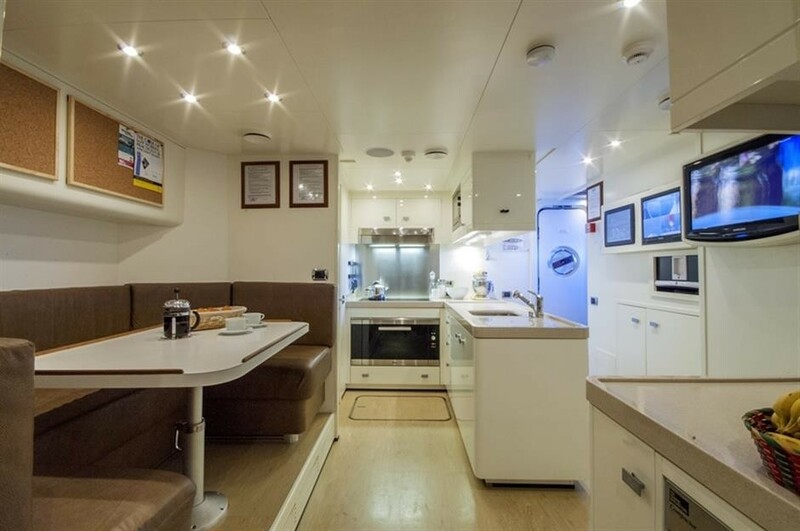 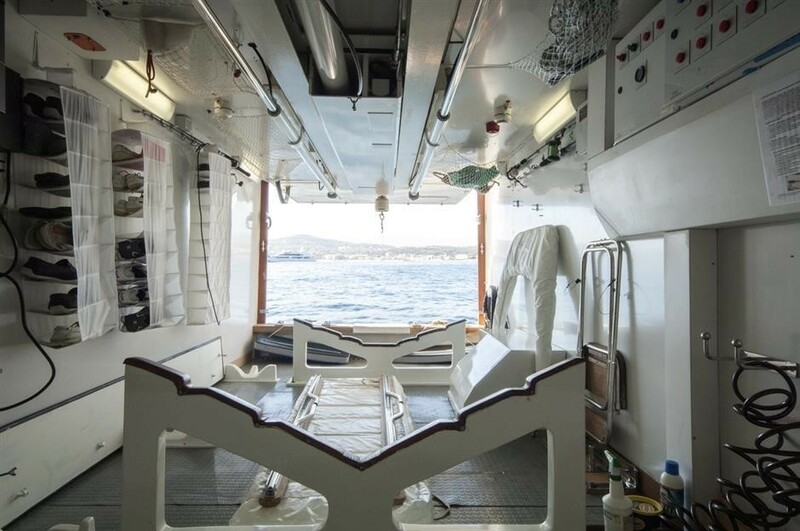 All 5 cabins are tastefully designed and have a minimalistic, relaxing atmosphere.